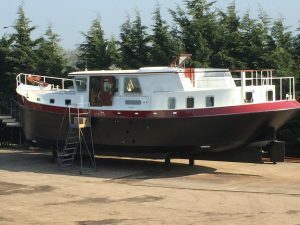 The Andrew Wolstenholme 15 metre steel Cruising Barge, has a hull design based aesthetically on the lines of the Dutch Luxemotor Barges, but uses a double chine form to simplify construction. 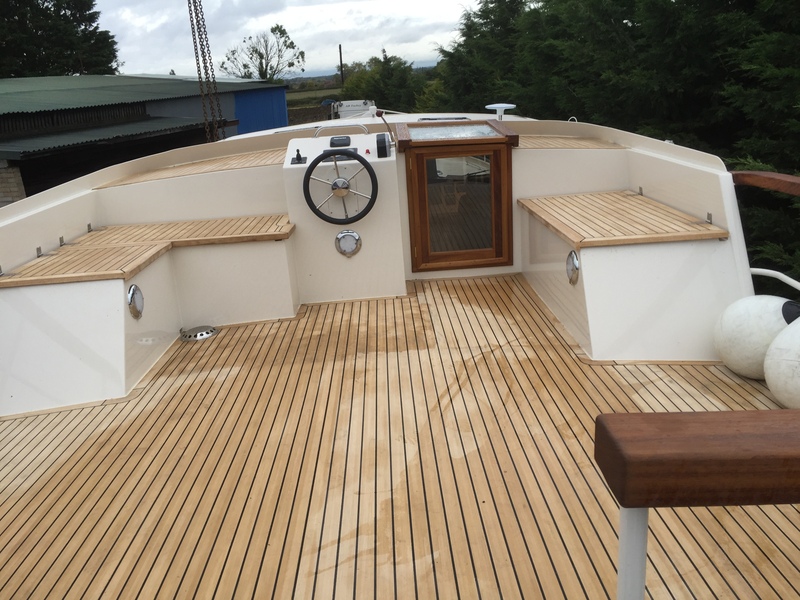 This design uses a centre wheel house and a second helm position on the raised aft deck. 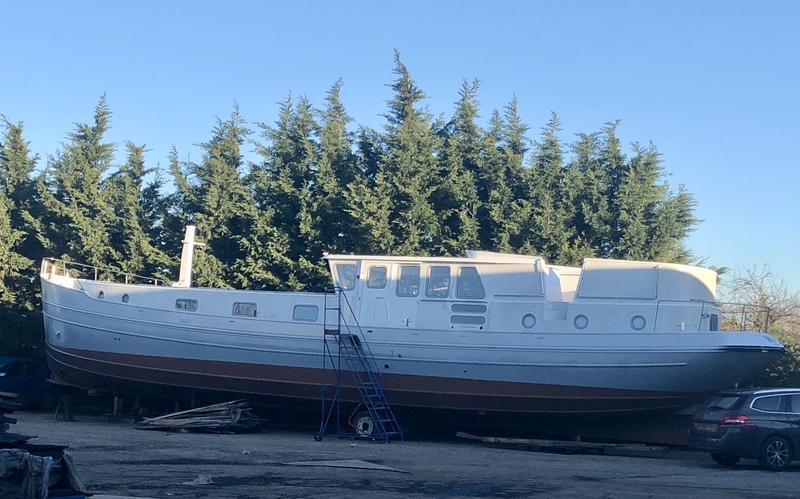 We have recently built three of these Bespoke Cruising Barges, all with diverse layouts to complement the individual owners. 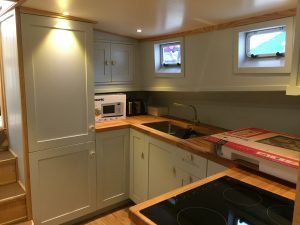 This style of barge makes a fantastic live-aboard with the opportunity of two guest cabins with one en-suite together with the leading cabin and bathroom. 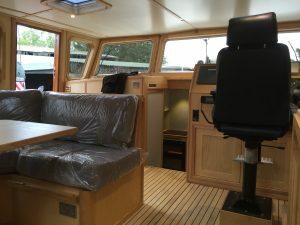 A special feature of this bespoke barge is the fixed wheelhouse, which is, much more than just a well-equipped control centre for the helmsman. The wheelhouse can be featured for dining and socializing with either a wraparound seating area and a table or a L shaped seating with table. Both of these possibilities can be converted to a guest bed. The wheelhouse can be installed with a comprehensive range of of equipment, from VHF radios, engine displays, charter plotters and radar to auto pilot. These can be duplicated on the upper aft deck helmsman position. 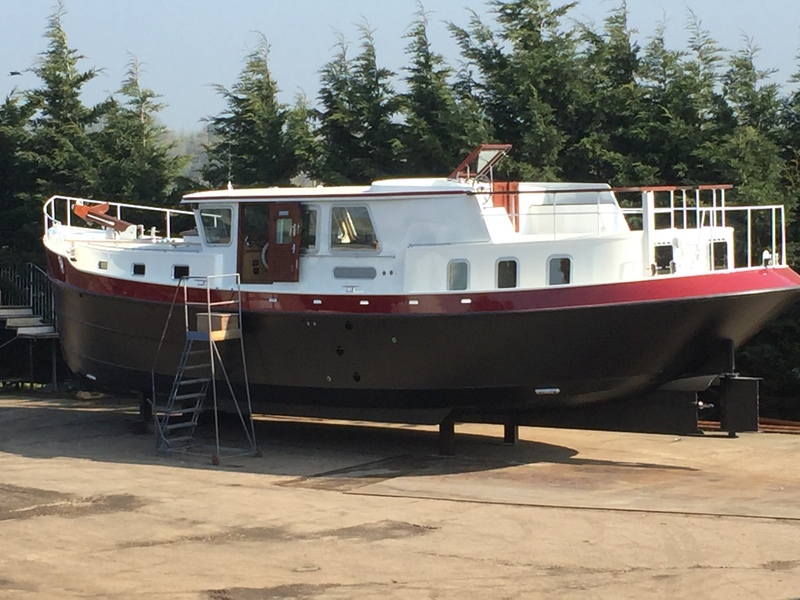 All of the Bespoke Cruising Barges are individually CAD designed for each customer with Andrew and engineered by Andrew Wolstenholme. 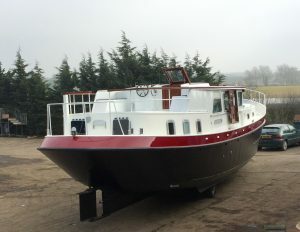 Andrew also offers other Bespoke Cruising Barges in various lengths that have previously been designed by him and built. 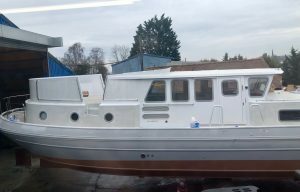 In addition, Andrew offers a fully bespoke service designing a barge to suit your requirements. 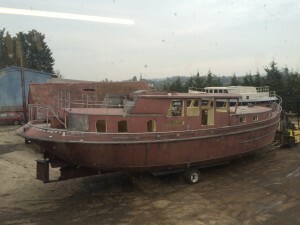 The barges are CNC laser cut in Holland with Lloyds Grade A steel. Upon completion of the cutting of the kit the steel in shot blasted ( both sides) and sigma primed, eliminating any underlying rust. In 2012 we also built a boat designed by Branson Boats. 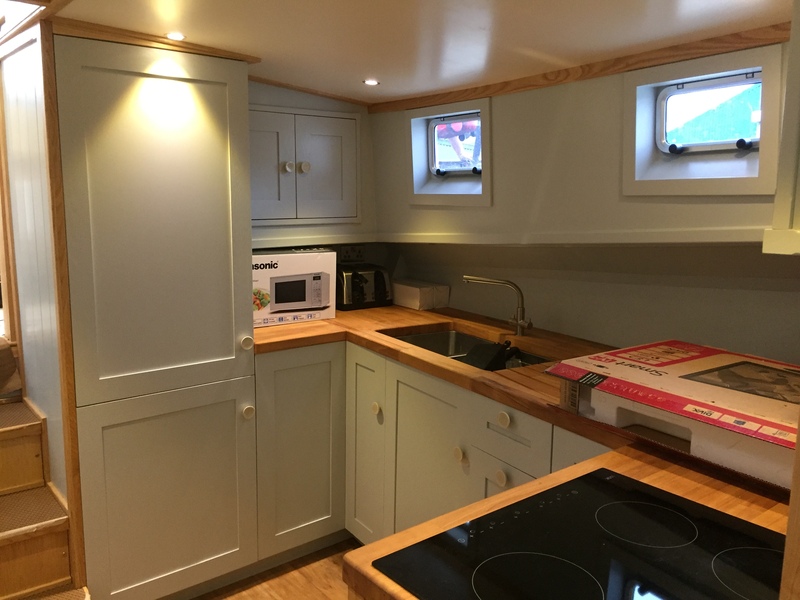 The design meets category ‘A’ of the R.C.D. 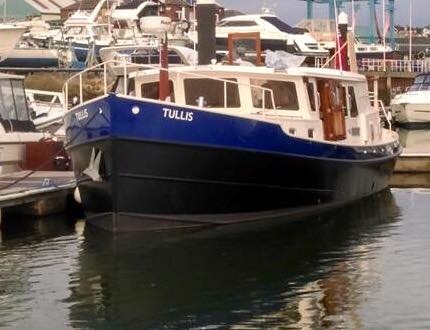 Seaworthy and long legged with a range of over 2000nm. 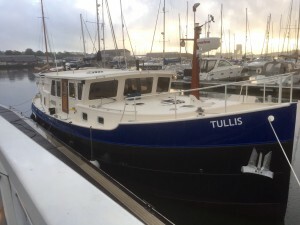 The Trawler 52 is different from the typical ‘Passagemaker’ is the low enough air draft for the continental waterways. 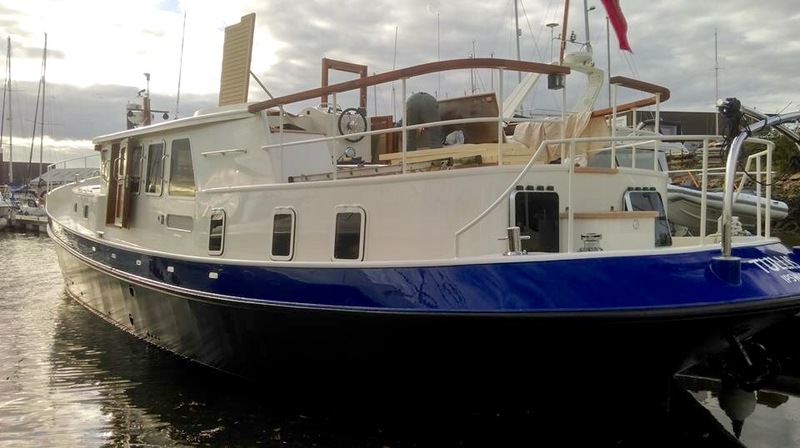 Most comparable seagoing designs simply cannot navigate large parts of these waterways. Tough rugged steel construction (over Lloyds ‘A’ S.S.C) and heavy displacement(30 tonnes) provides comfort and reassurance whilst cruising. 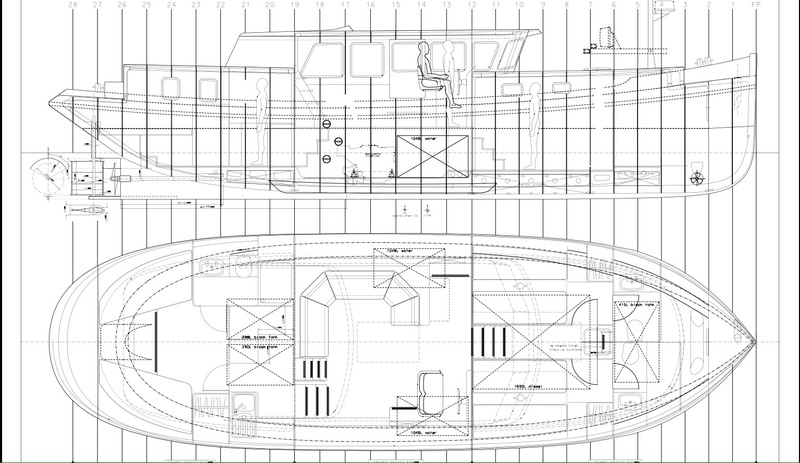 A passive ’Flopper Stopper’ rig can be incorporated to further reduce roll and improve sea keeping. 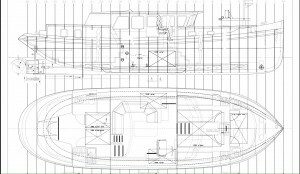 The design benefits from a rounded multi chine hull form along with a low superstructure, naturally leading to a gentle response to beam seas. Many remote and beautiful harbors are drying ones, yet the optional bilge keels allow the 52 to take the ground safely. Accommodation while underway is important for a ‘passage maker’. 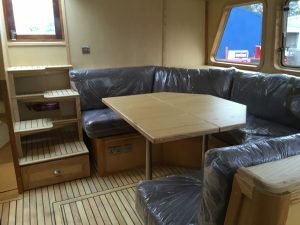 It is generally agreed the most comfortable area onboard is the last third of the length of a vessel. 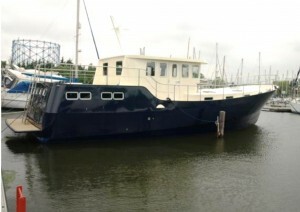 The owners stateroom, saloon galley and most importantly the helm station are located in this position.